To most of us, it’s hard to believe that someone would sit, not stand, for the national anthem. God blessed this nation more than any other and to protest perceived unjust treatment is stupid… especially since the blood of past veterans fighting for our flag is what gives them the right to protest! Apparently they don’t know too much about how we got the National Anthem. This is the story. 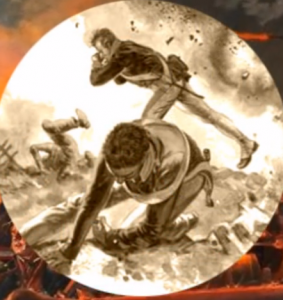 In the War of 1812, America was again fighting her mother country, Great Britain. Britain had lost the American War of Independence in 1783, but now 29 years later, she was determined to take America back as a British possession. In Europe, Napoleon had been defeated and all the seasoned British troops were sent en masse to the United States in order to take back the land and its rich tax base. The initial battles were fought in the north, in and around the Canadian border. 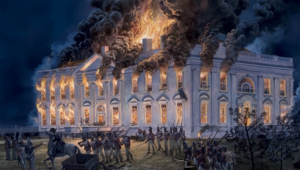 But in August 1814, the British invaded Washington, D.C., burning and looting the White House, the Capitol, the Treasury, War Department and Navy Yard. President James Madison and the entire U.S. government had to flee the city and eventually ended up hiding in Brookeville, Maryland. American troops were demoralized and were easily defeated in successive battles around the Washington area. The British spent several days looting tons of merchandise from city merchants. In the countryside, farms were looted for food and other provisions. 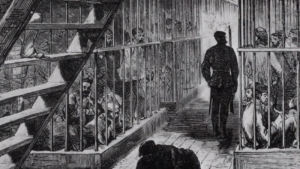 Those who resisted were arrested and taken as prisoners of war. It was a dark and pivotal moment for the new Republic. 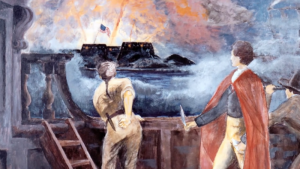 With our capital in Washington destroyed, our government leaders on the run and our troops in disarray, the British turned their sights to Baltimore for a knock-out blow. The British believed victory was at hand. 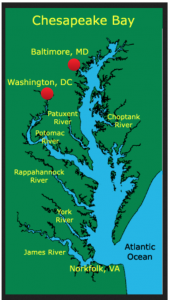 On Sept. 12, 1814, 5,000 British troops headed by land from Washington to Baltimore, only 35 miles away. They met 3,000 American troops about five miles outside Baltimore. The Americans initially engaged the British in battle, but then retreated as a stalling tactic to allow time for more American troops to arrive. At the same time, a large flotilla from the British Royal Navy was sailing through the Chesapeake Bay to attack Baltimore from the sea. It included five (of eight) massive siege artillery ships Britain had in its navy and used to pulverize cities from the sea. So the only thing between the British Navy vessels and Baltimore was Fort McHenry. If Fort McHenry was destroyed, Baltimore would be a sitting duck and the British would win the war. 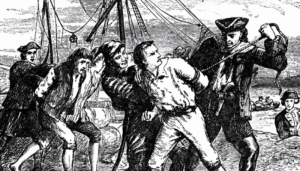 During this time, a young lawyer was commissioned to make contact with the British about a prisoner exchange. One of the prisoners of war, Dr. William Beanes, was a prominent physician. He was arrested at his farm outside Washington, D.C. for resisting the British. The lawyer was able to negotiate the release for all the prisoners except Beanes. Eventually it was established that Beanes was a civilian non-combatant and could be released once the British had conquered Baltimore. So the lawyer and Beanes were sequestered on a ship about eight miles from Fort McHenry. 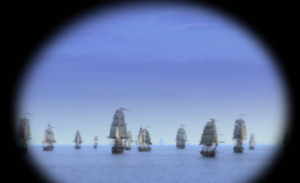 From the ship, using a telescope, the lawyer could see the massive fleet sailing up Chesapeake Bay toward the tiny fort with the United States flag boldly flying over the fort’s ramparts. But the prospects of repelling such an onslaught were grim, to say the least. It appeared the fledgling nation was about to be conquered less than 40 years after its breakaway from England. The British fleet arrived, and as twilight began to fall, there was a haze over the water, typical of sunsets in Baltimore. The British Admiral in charge of the fleet, Admiral Cochrane, maneuvered his ships into position and began to relentlessly shell the small fort with the large American flag, unleashing his cannons on the helpless occupants. The lawyer recounted later that the explosive sounds from the British cannons were so deafening that you couldn’t even hear to talk. There was almost no pause from the massive cannon fire as the ships moved one after another into position to fire everything they had at the fort. The sky was pitch black but was lit up by the yellow and red bursting bombs. Every time a bomb would explode near the flag, the lawyer could see the flag was still there. He knew the thing that sets Americans apart from all other people in the world is that they would rather die standing up before living on their knees. Brave Americans died that night, refusing to surrender. When sunrise came, there was a heavy mist over the water and the fort in the distance, and as the morning light enveloped the area, even though the flag pole itself was leaning heavily to the side, the lawyer could see the shredded American flag still flying proudly. In the end, the British concluded the fort could not be breached and, therefore, moving ships past it to attack Baltimore was impossible. 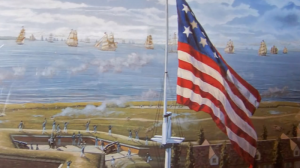 Our American ground troops, inspired by those giving up their lives from the onslaught of the British cannons at Fort McHenry, won a decisive victory and Baltimore was saved. 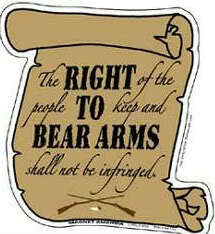 The British were also dealing with the fact that the American citizens were heavily armed and therefore unmanageable. Since the British troops wore bright red uniforms and tended to walk in a straight line, they made easy targets for a well-armed nation who had enough sense to shoot from behind trees and rocks. This was the turning point in the War of 1812. America has never since been at risk of being conquered by an invasive enemy army. “O say can you see, by the dawn’s early light. What so proudly we hail’d at the twilight’s last gleaming. Whose broad stripes and bright stars, through the perilous fight. gave proof through the night, that our flag was still there. The lawyer in this story was, of course, Francis Scott Key. And his poem eventually became the words for our national anthem. And do notice that the last line in the first verse ends with a question mark (“?”) ! And do notice that the last verse ends with an exclamation mark (“!”) instead of a question mark “?” like the first verse. The last line of the last verse answered the previous question. As it’s often been said, freedom is not free. Throughout the history of this country, we have paid the price for freedom with the blood of our countrymen. Roughly two million men and women have died in all wars since 1776. So, praise the Lord that we’ve had the incredible blessings afforded only by the blood of those who fought and died for this country. It is also interesting to note that the number of those in the U.S. who supported the United States over those who supported Great Britain in the War for Independence (1776-1784) were much less than 50%. Estimates range from a low of 15% to a high of 40%! It’s no wonder the new Constitution made provisions to protect minorities! We were founded as a Republic, not a Democracy! So don’t take lightly praying for this nation. Satan hates the United States. He hates Christians, Bible teaching churches, Biblical prayers, evangelism, mission work, Christian marriages … basically anything good. He is total evil and he’s doing all he can to mitigate true Believer influence. And never forget that we’re not up against people. It’s not the Muslims we’re fighting against. It’s not liberals. It’s not flesh, period. They’re all just duped by the master duper who’s had 6000 years of practice. 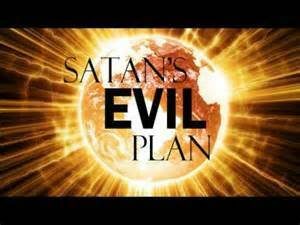 And you can see Satan’s hatred more and more as Americans and Christians are being openly murdered worldwide. 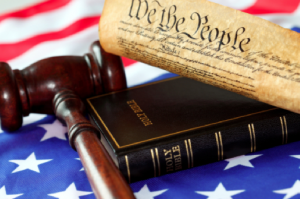 And if the Lord tarries long enough, we will probably see Believers’ rights erode here in the United States. But regardless of what the Lord allows to happen in this country, never forget that we’ve already won the battle through Jesus’ blood. Our most important asset is our Bible and our personal witness.